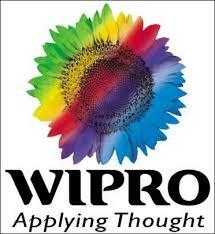 Wipro Ltd. is a global information technology, consulting and outsourcing company. The company develops and integrates solutions that enable clients to leverage Information Technology (IT) in achieving their business objectives at competitive costs. It operates through the Information Technology Services and Information Technology Products segments. The Information Technology Services segment provides IT and IT-enabled services which include IT consulting, custom application design, development, re-engineering and maintenance, systems integration, package implementation, global infrastructure services, BPO services, cloud, mobility and analytics services, research and development and hardware and software design. The Information Technology Products segment provides a range of third-party IT products, which allows to provide comprehensive IT system integration services. These products include computing, storage, networking, security and software products, including databases and operating systems. The company was founded on December 29, 1945 and is headquartered in Bangalore, India.